BBTB2 Blog Hop and Challenge! It's Ghost Time!! If you hopped on over from Donna's Blog PopsicleToes then you are in the right place, if not hop on over to Susan's Blog Busy With Cricky and start from the beginning! You don't want to miss any awesome projects and super fun candy! This week Shelly from Shellys card Blog selected one of the ghosts from paper dolls page 49 either the costume or the accessory 1 shift. If you do not have this cartridge you can use any Ghost from any cartridge! But please create a new project! I cut out 32 of these fun ghosts for my Daughter's class at 3 1/2" I used my small hole punch and punched holes to hold the lollipop. I used a larger hole punch and punched the eyes. I think the kiddos will have fun with these! All you have to do is leave a comment on this post and a way for me to contact you if you win!! I will draw and announce the winner on November 13! Your next stop is Jeri at Bug N Me Creations! Be sure to hop on over to see what she has in store for you! 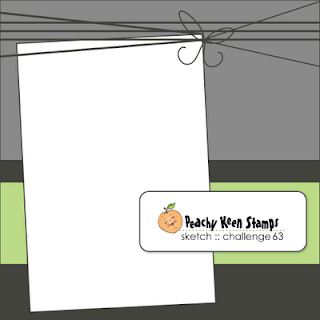 Please join us this week by creating a new project using a ghost cut! Click HERE for the CCR Challenge! One of my favorite stamps sets: My Favorite Things Feelin' Fruity? In my neighborhood during Halloween time we Boo each-other. You make a goody bag filled with candy, fun stuff and include the story about Boo-ing someone, you sneak out when it is dark, leave it on the door step attach a ghost to the door, ring the bell and run! and It is supposed to be a secret! You boo two people then they boo two people etc. The boo left on the door lets people know you have already been boo-ed. Do you think they will know it's from me? Ghost from Paper Doll Dress Up cut at 6"
Paper from Target.. already clearance at $.50! Die Cuts from K and Co Already Clearance at $1.99! Ghosts and Goblins, spooks, galore…. A spook, in fact, brought you this “BOO” to you!!! We’ll all have smiles upon our faces. Keep it a secret, hide it well. So Spread the “BOO’S” and Halloween Cheer! Holiday Tradition Blog Hop and Challenge Reminder! Just a reminder about the Holiday Tradition challenge going on over at the Creative Cutter Room! and must include 3 elements! 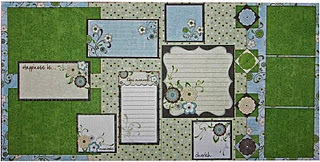 A Bo Bunny Page Kit with enough supplies to make a 2 page layout like this one or a similar layout. Challenge Starts today Oct 20 and runs until November 2! You will need to collect 3 elements total and include each element on your Holiday Themed project then submit your new project here. You have until November 2, 2011 to enter your project. I really think I would use this more if I had the booklet! I just randomly pick one and hope for the best! This time I picked the window feature on the Gypsy and this is the one I selected. I am so happy it was easy to put together! I wanted my daughter to stick with the Halloween Theme for her Best Friends Birthday, but she was wanting to pick her out this sweet butterfly gift card. So she will be receiving a spooky card and a sweet package! I covered the window with Acetate paper. Used the Grass border punch. A glue dot to adhere the butterfly to the back of the bag. I have some Exciting News to share! I will be a Design Team Member for Docerela Creations! I am sooo super excited to be starting another Paper Crafting Adventure! I hope you will pop over and check out her super fun stamps and meet the other design team members! I want to thank all my faithful friends that have followed me along my crafting adventures! So many of you have become such great friends to me! SO Thank You for continuing to visit me! I certainly look forward visiting all of you! I don't have anything crafty share other than my amazing news because I have been working, cleaning, painting pumpkins and tons of other crazy stuff! But I will leave you with a cutie photo of my "other" Kiddo! Spooky Witch Challenge over at the BBTB2!! If you do not have Happy Hauntings you can use any witch from any cartridge but please submit a new creation! We are looking forward to seeing all your amazing creations using a witch! I do not have Happy Hauntings so I used Oct 31 Cricut Cartridge for my witch! Did you know that the BBTB2 is having another challenge and you can win the Totally Witchin' set from Crafty Sprouts?? Check it out HERE! I needed a card to send with a gift today, Since I was using Stretch your Imagination I flipped through and saw this sweet tree and leaf cut. Hi everyone! I am Guest Designer today for Amy over at Love to Crop! I am a longtime follower of Amy's blog she has a very active blog (which I love!) She is always involved in a blog hop, challenge or something fun! She is super generous by offering sweet candies, but I have to tell you I always look forward to her question! She always asks a fun question at the end of her post, have you noticed this? So to keep up with Amy's tradition my question for you today is how many hours a day do you spend blog hopping? I spend about 1 hour and 15 minutes every night leaving comments! HeHe that is sooo bad! Ok now onto the challenge!! The Love to Crop Challenge for Today is Circles! I wanted to think "outside the box" today so I made a circle card with many circle elements! I used a silver metal brad that was indented, stamped a Happy Birthday and filled it with Glossy Accents. Looking forward to seeing your creations! Hop on over to Love To Crop for Challenge details! Candy Goes Here Envelope Candy Bag! 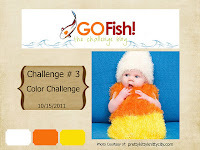 Click HERE for the CCR Blog hop and Challenge! I totally Scrap-lifted this from Karen at Little Scrap Pieces! She made such an adorable envelope candy holder I just had to make one too! Thanks Karen! I used an envelope and sliced off the top and ran it thru my paper crimper. Holiday Tradition Challenge over at the CCR! Come join in! Welcome to the Holiday Tradition Blog Hop and Challenge with the Creative Cutter Room! Theme: Holiday; Christmas, or Kwanzaa or Hanukkah and must include 3 elements! Challenge Starts today Oct 20 and runs until Nov 2! Here is the project I made using all 3 elements!! Smash Book!! My Own Version! I have journaled, doodled, cut, glued and pasted in notebooks since 1985! I had no idea it had a name. Smash Book! Instead of just doing it in a composition notebook, I searched YouTube and found all these super cute videos and decided to make my own since I already have all the supplies. Here is the book I made using cardboard, lots of cardstock and my bind it all! I just need to add the photo of myself! Hello Kitty Challenge at the BBTB2! If you do not have Hello Kitty you can use any kitty from any cartridge but please submit a new creation! We are looking forward to seeing all your amazing creations using a kitty! Since I am in need of a birthday card I changed mine up just a bit! Hello Kitty was cut at 3 1/2" I used extra thick cardstock 110lb that I found at staples. I also used a new cutting mat. Blade at 6 pressure at one below high. For any of the smaller cuts on the hello kitty cartridge I bump the size up 1/4 from where I started... so I cut the Hello Kitty at 3 1/2 but I cut her little paws and lollipop at 3 3/4. The little cuts just seem to fit better! 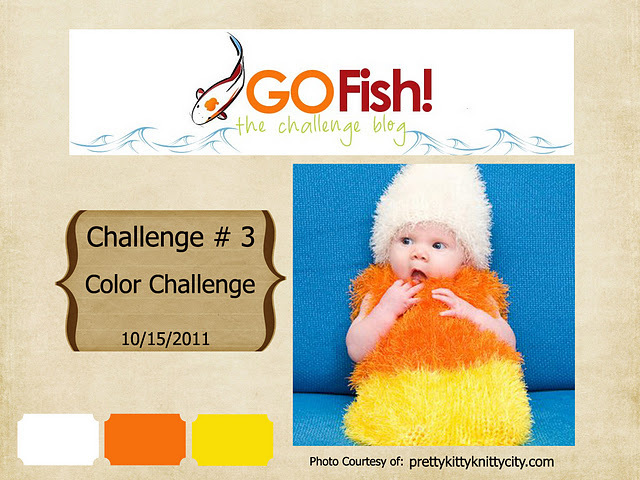 I hope you will join in on this fun kitty challenge! Thank you to everyone that hopped along for the 3 Girl JAM, blog hop! Thanks to Julie over at A Little Bit of Bling for being so sweet and offering some crinkle ribbon blog candy! Carri, I just love both your beautiful cards, and the ribbon and the colors of them are just yummy!!! Congrats Audrey! Please visit 3 Girl JAM and let me know your favorite color bundle and we will get it sent out to you! If you didn't win this time, no worries! 3 Girl Jam has some amazing prices going on, go ahead and check them out!